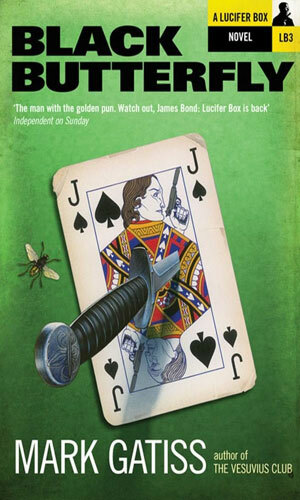 Lucifer Box is an agent with the British Secret Service. This is back in the days of King Edward, ruling from 1901 to 1910, when many in government on both sides of the Atlantic believed with Secretary of State Henry Stimson that "gentlemen do not read each other's mail." In the case of Box and his boss, Joshua Reynolds, reading it was standard fare and if that didn't get the job done, forgery would not be out of the question. Reynolds is not a nice man. His best agent, Lucifer Box, is even less so. Most of the people of England's upper society knows Box as a painter. he is considered by many to be England's foremost portrait artist, in constant demand but often unavailable due to his many other activities. His primary non-artistic endeavour is being a secret agent but other interests include interests in anything young and attractive and exciting. But he does take enough time to paint and supplement his operative's pay with some decent money. How much he makes as an agent is never revealed but it is stated, by Box, many times that it is not enough. Considering his nature, though, it is not likely it could ever be. Box likes to party. He loves to throw or be thrown into lavish affairs where there are seas of liquor and mountains of foods and an endless supply of beautiful people. Box loves to be around the pretty ones. It does not matter at all if they be male or female because Box is very open-minded. He just wants them to be pretty. Considering the way they respond to his advances, it is obvious that they consider him as pretty as they are. It says something about the man that he once quipped, "I have always been an appalling judge of character. It is my beguiling virtue." But when Box is not cavorting or flirting or seducing, he is likely to be killing. He is not a person Reynolds would send to secretly learn something or leak something or just sniff around. Box gets sent in when someone needs to die. And Box makes sure they do. When he is not on a mission or painting someone's portrait (in the first book, he painted a target, took him out for drinks later and then took him out permanently. Not sure if he got paid first, though) Box resides at No.9 Downing Street, right next to where the Prime Minister lives. It seems that his family had once owned the entire area until someone high up decided it would make a fine residence for the head of the country and other houses in the same block would do well for other key folks. But No.9 was preserved and Box lives there now. He does not much care for it but estate laws being what they are, he is stuck. The three recorded adventures of Lucifer Box span a large block of time and the reader is allowed to see the man in his late 20s, late 40s, and probably into his 60s (he is a tad too vain to know for sure). He grows older and wiser and a bit slower and more circumspect. He does not ever stop being Lucifer Box. Asked to look into the dead of an agent of the Diplomatic Service, Lucifer Box has scant clues but one is a paper with two names on it, both scientists killed within a day of each other. His investigations get people in the mood to kill him and when he heads to Naples following a lead, they try in earnest. Jumping ahead to 20 years after the first adventure, Lucifer Box is sent to New York by his superiors who are pondering whether to let him go after a mission has gone wrong. In America, he is to look into a fascist organization, FAUST. One of Box's informants is murdered after telling of an insidious plot and Box is framed for the murder. Now the bad guys and the good guys are out for his head. 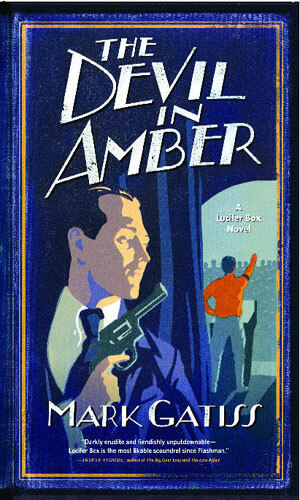 Leaping ahead a few decades and Lucifer Box, in 1953, is very close to retirement. His final mission, possibly in more ways than one, is to find out why aged stalwarts of the government are meeting their ends in bizarre activities. I have some information that the first book was read in abridged format for the BBC but whether it was actually aired or not, I do not know. A five-part abridged reading of the novel by the author. Each episode was 30 minutes in length and aired on BBC7 Sunday evenings over a 5-week period. A five-part abridged reading of the novel by the author done on 5 consecutive days. 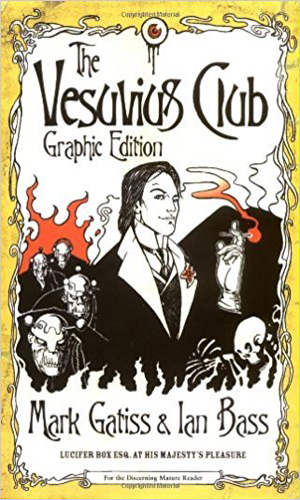 Graphic adaptation of the first novel. I was directed to this series by a fellow fan being kind enough to suggest I read it. After a while of being obstinate (it is my nature!) I got the books and then a couple weeks later actually read them. They are a fast read and they are quite funny. 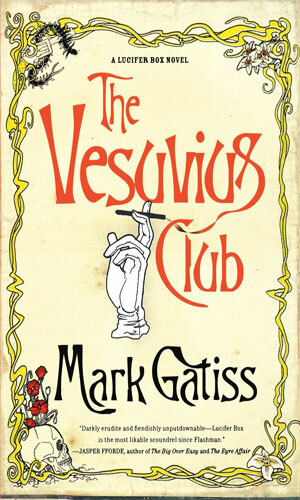 That is to be expected from the pen (or typing fingers) of Mark Gatiss. He is a particularly funny man with a great skill at make people laugh with his words whether spoken or on paper. He has an amazing imagination as shown by his incredible work in the Sherlock series which he not only helped write and produce, he also played a terrific Mycroft. I did not like the character of Lucifer Box, though, but then again even Box would be the first to admit that he really does not have any character. He is vain, lustful, petulant, horny, spiteful, randy, deceitful, ... you get the picture. He is everything you would not want the man sitting anywhere near you to be lest some of it rub off on you or worse yet, he decides you no longer need to keep breathing. I did not like Lucifer Box. I enjoyed very much reading about him.